Along with the usual packages there are other options that can make your evening that little bit more special or different. Each are very popular in their own right and when combined with our usual party make for a perfect evening. Get the best of both, games and dancing. As always, we can take requests on the night or sit down with you and compile you’re very own playlist, don’t be afraid to ask! 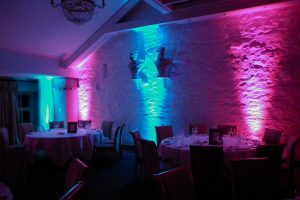 Change the colour of your wedding room with led Up Lights to a colour that suits your choice. Whatever the colour, we will make your room into a warm vibrant transformation. Commonly called Mood Lights, Mood Lighting, Up lights and uplighters. They are easily fitted and with a simple flick of a switch. Any room can be transformed completely into a single colour or multiple colours of your choice. Led Up Lights. Our up lights can totally transform the look of any room by adding colour to normally a very bland wall. They will also look fantastic against a fairy-light backdrop. Set six uplights into any backdrop and you will have a stunning spash of light from floor to the ceiling. Set to a single static colour or an array of mood changing colours. Which can either scroll through many different colour changing sequences. one particular wall, or an entire venue to transform splashed with colour. to create an atmosphere by use of mood lighting or mood lights. 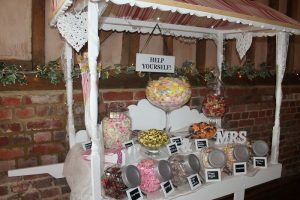 are having a wedding reception or party, and want to completely transform the colour of your venue. Got a sweet tooth? So do we…in fact we have a full cart full, if you have favourites, let us know and we’ll be sure to include them in a throwback to yesteryear with our cart full of sweetie jars. Yes, you too can have your very own Dinky Doughnut production line at your wedding or event. Nothing beats that smell, and when you take that first bite from your own personal stash of doughnuts you’ll be coming back for more! It’s fully insured so even if you break the camera, there’s no issue. 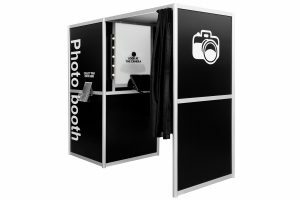 Seriously though, there are a few options avaliable here from guestbook albums, selfie mirror and all that is in between. 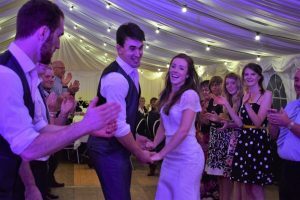 It’s the most popular wedding extra we have, book today to ensure you don’t miss out. 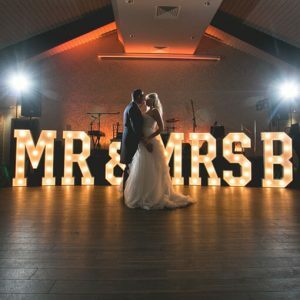 The perfect focal point at the front of any dance floor. Why not have your initials at the front or whatever else you require. 3ft light up letters (full alphabet available). Picture the night…Your guests walk in & 9/10 wedding guests have a card, small gift, money or vouches. 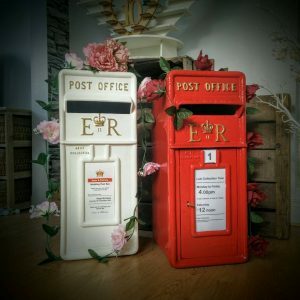 Having a post box on a table near by the entrance allows your guest too quickly & safely & post their gift you without the worry of losing it half way into the night. 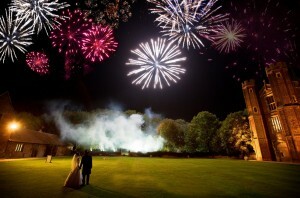 Becoming more and more of a feature we are proud to say we can now offer fireworks as part of our package. Why not have a spectacular finish to an amazing event, all sizes and types of party can be catered for with our fully trained pyrotechnical specialists. 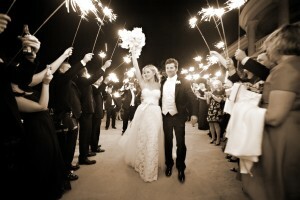 One thing we have seen a huge rise in over the last year or two is sparkler send-offs! This is where all the guests make an arch outside with sparklers and the bride and groom run down the middle to exit the reception. This looks a treat and makes for a great photo opportunity. Well worth the memories for such a small expense.